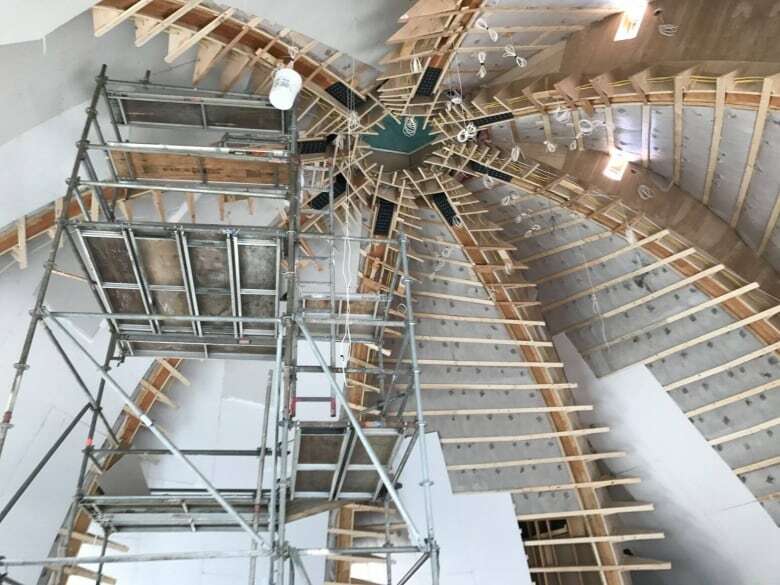 North America’s oldest ashram, on the shores of Kootenay Lake, is getting ready to welcome a new, lotus-like worship space three years after it was all but destroyed by a fire. 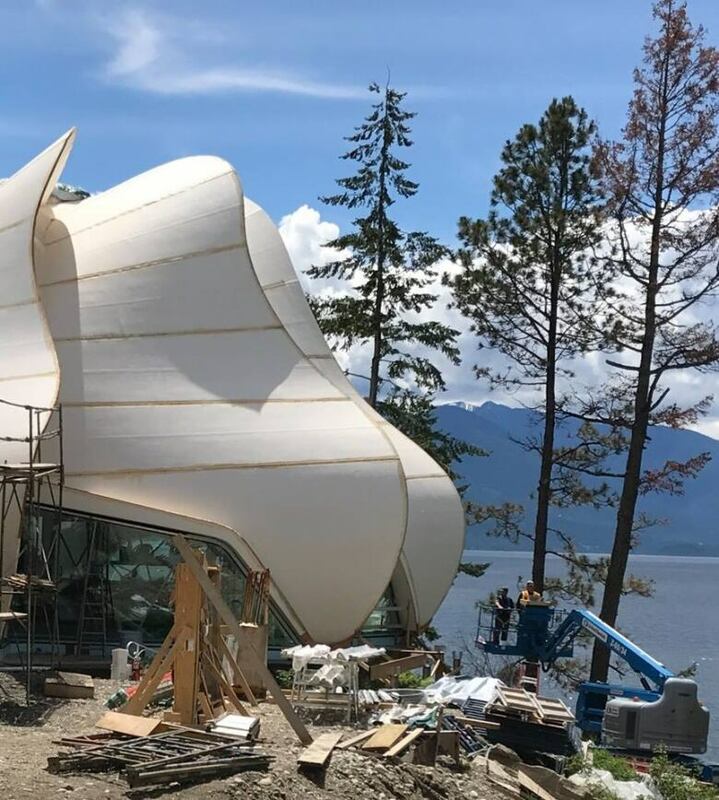 North America's oldest ashram, on the shores of Kootenay Lake, is getting ready to welcome a new, lotus-like worship space three years after it was all but destroyed by a fire. The original Temple of Light at Yasodhara Ashram was built 22 years ago, with seven entrances representing the world's major faiths, but it was seriously damaged in a blaze that began with a spark inadvertantly ignited by a work crew in June, 2014. That was "a great loss" to the dozens of people who live at the yoga retreat full time, as well as its many visitors, according to resident Swami Sivananda. Construction began on the new temple last year, and by the time it wraps up this summer, it will have cost about $3.5 million. The award-winning Vancouver firm Patkau Architects took on the redesign as a research project, putting the cost within reach of the ashram. "They took this idea of light, of many doors entering and the idea of a flower. It's like a lotus opening. 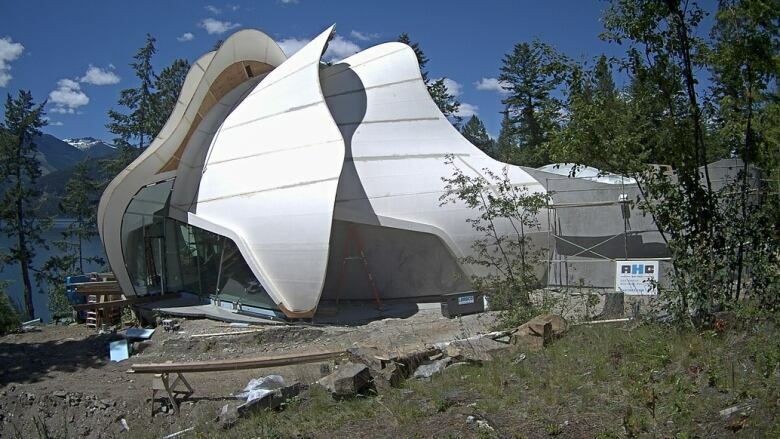 They come up with this multi-petal-like structure that's curvilinear — if that makes any sense — with these huge windows around the base," Sivananda told Daybreak South on Friday. The eight petals that make up the structure were prefabricated by the Spearhead manufacturing company in Nelson and assembled on site, spiraling upwards to join around a skylight at the top. "It is absolutely unique. I think it's an example of pushing the edges of architecture and certainly pushing the edges of builders," Sivananda said. There are few straight lines inside the structure, making tasks like dry-walling a challenge. Still, the finishing touches are expected to be complete by the end of July, and members of the public can see the progress firsthand at the ashram's annual social this Saturday. "It's a place of light, a place of spiritual renewal, contemplation, that's meant to inspire. And I'm sure it will," Sivananda said. The ashram hopes to raise $200,000 by the end of June to cover all the costs of the project.